/co/ - Comics & Cartoons » Searching for posts with the image hash ‘Oq25GuL0n7P2Tw2i/N9dBQ==’. Searching for posts with the image hash ‘Oq25GuL0n7P2Tw2i/N9dBQ==’. 11 results found. Pretty much silver eyes ruined a chance at Grimm being any kind of threat (even more so) to the team and also ruining any hope of a Grimm/monster of the week sort of ordeal. Is that the third one this volume? 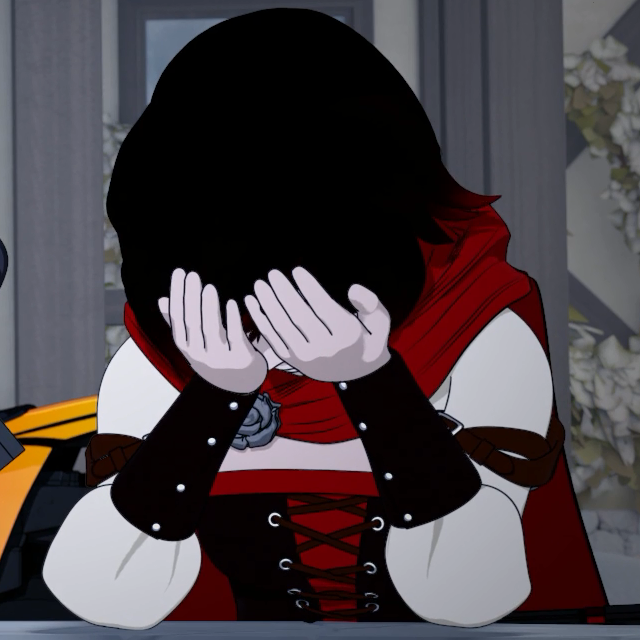 I get it that they want Ruby to have more focus after volume 4 and 5, but there are more ways to do that than have her deliver speeches, especially to Qrow. Qrow doesn't even talk back at her. He just stands still and lets her deliver.